All beauty recipes and content on this website are intended as general and recreational information only, Use these recipes, information and ideas at your own risk. 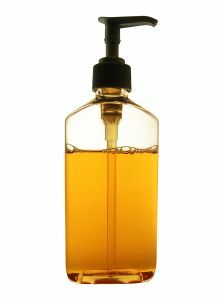 Carrier oils such as coconut, avocado and hemp seed oil not only moisturize dry, damaged hair, they add shine. Directions: In the top of a double boiler, gently warm the rose water. Once rose water is warm, add jojoba oil. For extra conditioning, leave on for several minutes. Rinse thoroughly with warm water. Shampoo and rinse again with cool water. Ingredients: 1 tsp honey, 2 Tbs olive oil, 1 egg yolk. Directions: Mix all ingredients in small bowl. Massage on hair in small sections. Wrap head with shower cap for 30 minutes. Rinse and shampoo. Directions: Rinse and towel dry hair. Apply mayonnaise and massage into hair. Let sit for 10-15 minutes, shampoo and rinse with an apple cider vinegar and water rinse. This will help with the smell and remove any residue. You can also add essential oil to help with the odor. Directions: Beat egg yolk until it's thick and light colored. Add oil and beat well. Slowly add and beat the water into the egg mixture. Pour mixture into a container. After shampooing, massage all egg conditioner into hair and leave on for a few minutes before thoroughly rinsing. Directions: Peel avocado and remove pit. Mash avocado then mix all ingredients in a medium-sized bowl with your hands until it's a consistent green color. Smooth into hair. Use shower cap or plastic wrap to seal body heat in. Leave on hair for 20 minutes. For deeper conditioning wrap a hot, damp towel around your head over the plastic, or use a hair dryer set to a low to medium heat setting. Store extra in refrigerator. Directions: Combine ingredients then warm on low heat. Massage mixture into the scalp and hair. Wrap hair in a hot towel for 15 minutes. Shampoo & rinse out. You can substitute the jojoba oil for hazelnut oil. Directions: Mix ingredients in bowl, apply to hair before shampoo. Let sit for 20 minutes. Rinse then shampoo. Directions: Blend all ingredients. Microwave the mixture for 30 seconds until hot. Stir in one tablespoon of natural unbleached flour to make a paste. Apply the warm paste to wet hair and allow the conditioner to set for 20 minutes Wash as normal. Directions: Combine olive oil and water then warm on low heat. Massage oil into the scalp and hair. Wrap hair in a hot towel for 15 minutes. Shampoo & rinse out. Directions: Place coconut oil and honey in a small plastic bag and place the bag in a hot cup of water for 1 minute to warm. Apply to hair, wrap hair in a towel for 20 minutes. Wash then dry hair. Directions: Blend all ingredients. Apply to hair. For extra conditioning, squeeze in the contents of a vitamin E capsule. Leave in hair for 15 minutes then rinse. Directions: Combine mashed avocado with some coconut milk in a small bowl. Heat in microwave for approx. 45 seconds. Stir. Test temperature. Massage mixture into hair. Wrap hair in a hot towel or cover with shower cap for 15 minutes. Shampoo & rinse out. Healthy Hair doesn't have to come from a bottle. There are many ingredients we all have right at home to make our own deep conditioner treatments. Basic olive oil adds shine to hair. Use Avocado to treat dry, over-processed hair. Even eggs work well as a great protein conditioner. With a little imagination you can have naturally healthy hair. Directions: Massage mixture into dry hair. Wrap hair in a hot towel or cover with shower cap for 15 minutes. Shampoo & rinse out.